Last week’s budget confirmed the badly kept secret that the Tax Free Savings Account (“TFSA”) contribution limit would increase. 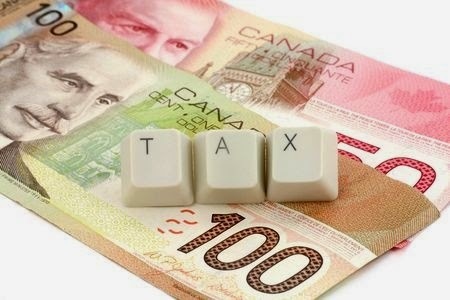 The Conservative government proposes to increase the limit from $5,500 to $10,000 (although, TFSAs will no longer be indexed) effective January 1, 2015. Although I can’t say I fully understand this from a public policy perspective, I think the increased limit is great from a purely financial perspective. As there have already been numerous articles discussing the advantages of the increased limit and who will benefit the most (here are links to two very good articles by Rob Carrick of The Globe and Mail and Adam Mayers of the Toronto Star), today I thought I would take a different tact and discuss how the increased TFSA limit will test our human behavioural traits. Ease of Access - A Good Thing or a Bad Thing? TFSAs allow you to withdraw your money at any time for any reason. The reason could be financial, for example to help purchase a house, or purely for personal indulgence, such as to go on your dream vacation or buy that sports car you always wanted. 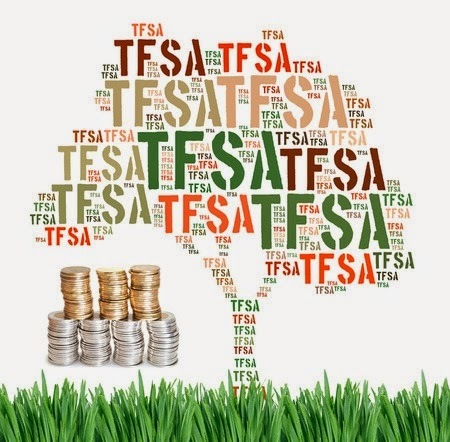 One of the great things about a TFSA is that you have the option to re-contribute any money you withdraw from your TFSA beginning January 1st of the following year. However, my concern is once that money is withdrawn, many people will not re-contribute, especially in respect of discretionary withdrawals where the money provided personal gratification. 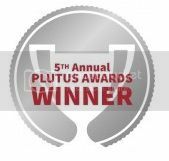 I have written a couple times that one of the indefinable benefits of a Registered Retirement Savings Plan (“RRSP”) is that it acts as an invisible barrier to protect you from yourself, as some (not all) people treat their RRSP as sacrosanct and only consider withdrawing money for emergencies, or income smoothing purposes. In contrast, TFSAs are inviting with limited barriers to protect you from yourself. Discipline - Do You Have It? The easy accessibility of TFSAs will require us to be disciplined if we are not to squander the funds we sock away. It has been my observation that many of us do not have that financial discipline. I have said this before and will say it again; with respect to accessible monies, the path of least resistance generally ends at the cash register. Retirement - Are TFSAs the New RRSPs? Over the last few years, more and more Canadians have decided to fund their TFSAs in lieu of their RRSPs. 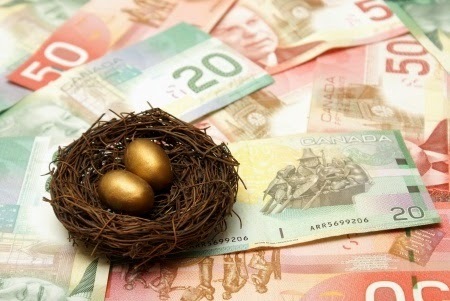 Many people seem to prefer the flexibility and tax-free status of TFSAs and are willing to forsake today’s tax refund (generated by RRSP contributions), for tax-free withdrawals in retirement (to avoid taxable withdrawals from their RRSPs/RRIFs in the future). While this change in retirement funding makes sense where your marginal tax rate today is lower than it will be in retirement, it does not make income tax sense where your marginal rate is higher today than you anticipate at retirement. Whether the trend of moving to TFSAs and away from RRSPs makes financial sense or not, assuming the budget proposal becomes law, I can foresee the day where TFSAs will become the dominant retirement vehicle in Canada. This brings us back to discipline. Much has been written about how poorly many Canadians have saved for retirement and how we need government pension plans (see Ontario) to save us from ourselves. Yet now, it can be argued, the government has in a way incentivized us to not use our RRSPs and is expecting us to be disciplined and use the money in our TFSAs to fund our retirements. As the expression goes, I am from Missouri on this issue; you will need to show me that Canadians will be disciplined enough to always choose their retirement over the trip to Tuscany. There was much to like in this budget. The proposed increase in the Tax-Free Savings Account ("TFSA") limit, the proposed reduction in the minimum withdrawal for Registered Retirement Income Funds ("RRIF") and the proposed reductions in small business tax rates. It will be interesting to see if these changes ever get to see the light of day. As I am in the home stretch of tax season, I don't have the time for a detailed analysis of the budget, so I will just offer some brief comments. 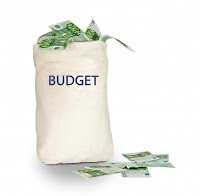 As rumoured, the contribution limit for TFSAs will be increased from $5,500 to $10,000 per year effective January 1, 2015. However, the new limit will not be indexed. This proposed change has the potential to drastically alter the way Canadians save and plan for retirement. On Monday, since everyone has already told you how great this is, I will discuss the downside to this change. The government proposes to lower the annual required withdrawal from your RRIF. Currently at age 71 the required withdrawal rate is 7.38%. The budget proposes to lower that rate to 5.28% as of January 1, 2015. Withdrawal rates will still increase every year, but instead of topping out at 20% at age 94, that cap is reached at age 95. RRIF holders who at any time in 2015 withdrew/withdraw more than the reduced 2015 minimum amount will be permitted to re-contribute the excess. This change appeases seniors who felt they were being forced to draw more money than they required to live and takes into account the longer life expectancy of Canadians. Readers of this blog will know that one of my major pet peeves is the excessive 20% penalty for unreported income (that is often inadvertent or the result of lost slips in the mail) that is picked up each year by the CRA's matching program. The penalty currently can be levied even if you owe no income tax. I.e. : If someone in Ontario fails to report a T4 slip with $10,000 of employment income and the slip has reported $4,900 of income tax deducted, they would owe no income tax, at the maximum marginal income tax rate. However, if you had failed to report income in any of the three prior years, the penalty under subsection 163(1) would be $2,000 (20% x $10,000), even though you owed no income tax and the CRA was provided this information by your employer. The government will amend this penalty to prevent situations such as the above where there is a disproportionate penalty to the actual income tax. The budget proposes that the penalty will now only apply if a you fail to report at least $500 in income and more importantly; the penalty will now be equal to the lesser of 10% (penalty is 20%, as there is also a 10% provincial penalty) of the unreported income and 50% of the tax unpaid. Thus, in the example above, there would not be any penalty under the proposed legislation, as no tax would be owing. The government proposes to simplify the reporting requirements where the cost of a taxpayer's foreign property is less than $250,000. While this change is welcome, it falls short. Most accountants and taxpayers were hoping the form would only require reporting of foreign income earned outside of Canada and would exclude the detailed reporting required for accounts held with Canadian institutions. 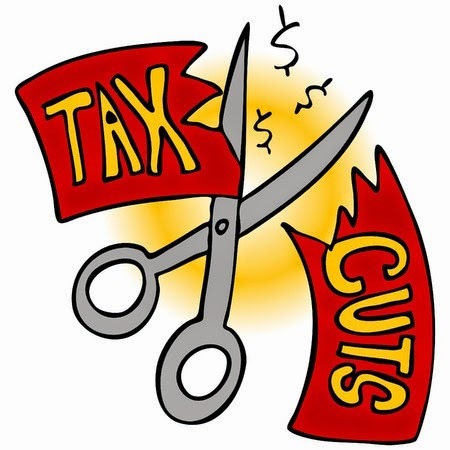 It is proposed the 11% Federal small business tax rate on active income for qualifying Canadian Controlled Private Corporations will be reduced by .5% annually beginning January 1, 2016 and will drop to 9% by January 1, 2019. The dividend gross-up and credit will be adjusted each year to reflect the lower corporate tax rate. One of the most nefarious concepts in corporate taxation is transfer pricing. 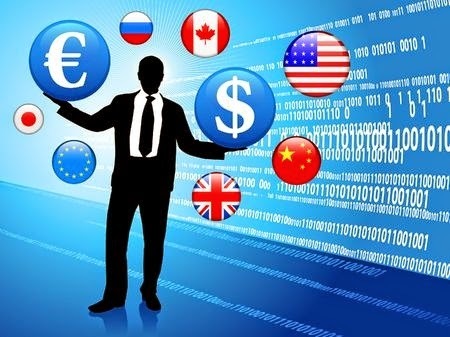 Today I have a guest post by Dan McGeown, an expert on transfer pricing discussing new Organisation for Economic Cooperation and Development ("OECD") documentation guidelines that Canadian companies are expected to follow. 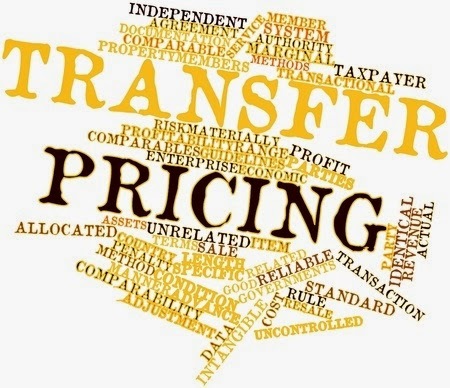 Before we get to Dan’s post, a quick primer on transfer pricing. Transfer prices are the prices charged between related parties for goods, services, assets and/or the right to use intangibles. 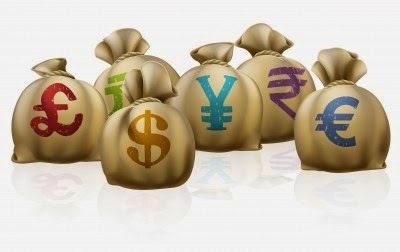 Transfer prices also include interest on related party debt, guarantee fees and factoring fees. 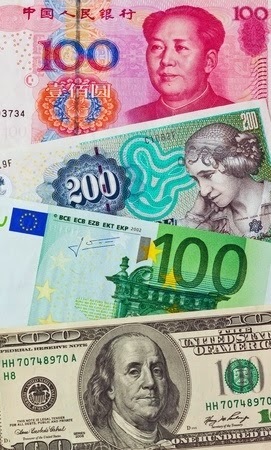 When a transaction involves related parties in two or more different tax jurisdictions, the tax authorities become interested, with the focus being on whether the parties are paying their fair share of tax in each jurisdiction (there are often huge disagreements between countries as they fight over what they consider their share of tax dollars being shifted to another country). Simply put, transfer pricing revolves around the the setting of the price for goods and services sold between controlled (or related) companies. For example, if a subsidiary company sells goods to a parent company, the cost of those goods is the transfer price. As a result, transfer prices must be set following the arm’s length principle. The arm’s length principle requires that all transfer prices, and the related terms and conditions, must be established on the same basis as would occur if the parties were not related, i.e., the prices, terms and conditions should reflect what two unrelated parties would agree to in similar circumstances. In Canada, failing to follow the arm’s length principle exposes the Canadian entity to a 10% penalty on any transfer pricing adjustment made by the CRA. The CRA may not impose that 10% penalty when the entity has made reasonable efforts to determine and use arm’s length prices, as evidenced by preparing and maintaining Contemporaneous Transfer Pricing Documentation. 5. Royalty payments being made but lower than acceptable operating results do not justify charging a royalty. A company’s Transfer Pricing Documentation is its first line of defense in any transfer pricing audit and, therefore, it needs to be prepared from that perspective. Speaking of documentation, Dan’s post provides an update on changing expectations in respect of transfer pricing and he briefs us on some specific Canadian requirements. 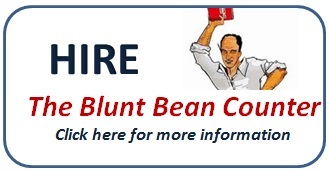 I thank Dan for his blog on this controversial income tax issue. The prolonged recession, and the difficulties many countries were and are still having in balancing budgets and managing debt loads, caused them to focus on the perception that each country’s tax base was being eroded by companies entering into activities that created tax deductions in higher tax jurisdictions with the offsetting income being reported in low tax or no tax jurisdictions, i.e., Base Erosion. In addition, many companies were moving valuable intangibles and/or value-adding activities to low tax or no tax jurisdictions to reduce the company’s overall effective tax rate, i.e., Profit Shifting strategies. As result of this base erosion, the Organisation for Economic Cooperation and Development (“OECD”) is now calling for three distinct levels of documentation, being: a Master File; Local Country Files; and Country-by-Country Reporting (“CBCR”). For Canadian companies both the Master File and CBCR are new requirements. The Master File will provide: a high-level overview of the group of companies; the value chain and value drivers; a description of intangibles and where they are located; financial arrangements; where functions are performed, risks are borne and assets are employed; and the consolidated financial and tax position for the group. The Local File for a Canadian company is the Study prepared to comply with section 247 of the Income Tax Act, focusing on the specifics relating to intercompany transactions with other companies in the group. The Base Erosion and Profit Shifting (“BEPS”) impact on Local Files is that there must be more detailed analysis and documentation regarding risks, intangibles, financing and capital transactions, and high risk transactions. CBCR is effectively a risk assessment tool for the tax authorities around the world. CBCR reports jurisdiction-wide information regarding the global revenues and income, taxes paid, assets employed, number of employees and retained earnings. There is no small business exemption relating to the requirement to prepare the Master File and Local Country File. For CBCR, only groups of companies with global revenues in excess of Euros 750 million are required to complete and file the CBCR Template. What Does This Mean to Your Canadian Company? If your company is the parent of subsidiaries in other countries, you will be required to complete a Master File to be shared with your subsidiary companies for filing with their respective tax authorities, and you will also be required to complete a Local File to be maintained, along with the Master File, to be provided to the CRA if and when requested by the Agency at the commencement of an audit. Whether you need to complete the CBCR Template will depend on whether your global revenues exceed Euros 750 million or approximately CA$1 billion. If so, this Template would actually be filed with the CRA no later than one year after the end of the tax year in question. The CRA would share this information with the other relevant tax authorities. If your company is a subsidiary of a parent company elsewhere in the world, you will be responsible for preparing and maintaining the Local File, while relying on your parent company to provide you with the Master File. The CBCR Template would be filed by the parent company with its local tax authority, to be shared with the CRA and other tax authorities in accordance with the guidance put forth by the OECD. The CRA issued three Transfer Pricing Memorandum (“TPM”) to provide its guidance with respect to certain transfer pricing issues: revised TPM-05R, Requests for Contemporaneous Documentation; TPM-15, Intra-Group Services and Section 247; and, TPM-16, Role of Multiple Year Data in Transfer Pricing Analyses. From your perspective TPM-05R, clarifies the CRA’s expectations regarding your company’s response to a CRA request to provide your contemporaneous documentation to the Agency. The main take away for you and your company is that the CRA expects that some level of documentation will be prepared and maintained for each taxation year. Even if your company has a Study for its 2014 taxation year, the CRA will expect some form of documentation for 2015. That may mean the preparation of a Memo that confirms there have been no material changes in 2015 to all of the factual information in the 2014 Study, and testing the 2015 results against any benchmarks use in the Study. TPM-15 elaborates on certain requirements for the analysis of intra-group service charges as set out in the Information Circular on transfer pricing, with more discussion about the use of mark-ups to reflect how arm’s length parties would charge fees for a given service to recover their costs plus an element of profit. Your company’s documentation may need to be revised to justify and support charging or paying a services fee that includes a mark-up. TPM-16 confirms the CRA’s long held position that when you are setting your company’s transfer prices, and later testing and documenting them, the CRA expects you to use the results of a single year of data from comparable company information, as opposed to averaging multiple years of data. Note: I have disabled the comment/question feature of the Blog. I just do not have the time to answer questions during income tax season (this includes emails to my BBC or business email accounts). If you have questions or wish to engage Dan, his information is below. Dan McGeown is a transfer pricing specialist and the National Practice Leader of BDO’s Transfer Pricing team, a team comprised of accountants and economists providing transfer pricing planning, compliance and controversy management services to a wide variety of companies having cross border transactions with related parties. You can reach Dan by phone at 416-369-3127 or by email at dmcgeown@bdo.ca. From the inception of my blog, I have written a weekly confessional during income tax season discussing interesting or contentious income tax and filing issues. This year I have abandoned the "confessions" as I figured I would probably just complain about the Foreign Reporting T1135 Form for six straight weeks – and I did not want to inflict this upon you. However, today for old time's sake, I will bring back the confessions for a guest appearance. 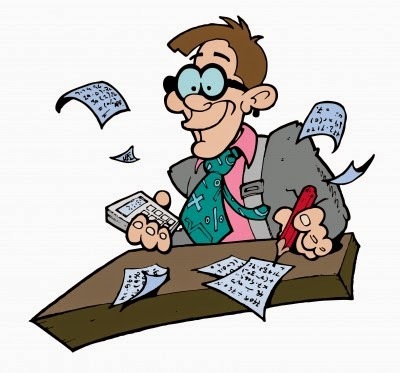 As usual, I only received about 40% of my client's tax returns before April 1st as they were waiting for their T3 and T5013 slips (by the way, the fact the T5013 essentially only has numerical boxes with no written descriptions drives most accountants mad). For many of the returns that arrived before March 31st I did not even attempt to complete them because I knew there were additional tax slips to come. I must get 15 emails a day with the email header “opps, I just received another tax slip”. No one cares about this other than accountants who have to do all their work in a condensed three-week period, so I will stop the whining now. This is why I stopped with these confessions, it just provides me a license to grumble. In all honesty, there have not been that many new issues this tax season. The same old issues are always there. For many accountants, the biggest issue is how much time they spend chasing down information and preparing the T1135 Form, let alone the additional cost to clients. However, one new issue that has arisen a few times this year, as result of the Family Tax Cut, is co-coordinating the family claim when spouses and/or common law spouses use different accountants, or one spouse prepares their return themselves. I write about this issue below. Do you and your spouse have your tax returns prepared by different accountants or is one of you a do-it-yourselfer? If so, I suggest, (especially if your family can access the family tax cut) you reconsider this decision next year, as you may be missing out on some significant tax savings. one of the spouses really likes his/her accountant and has a history with them and does not want to change accountants. Using two accountants may result in either the family not utilizing all its tax credits and deductions or the more common issue, they duplicate claiming credits and deductions; which may cause the CRA to re-assess and/or request family information that is often time consuming to obtain and provide. This year the possible dysfunction in using two accountants has been exacerbated with the family tax cut. Now, a decision must be made as to which spouse will make the claim and the claimant requires various tax information from their spouse that is not readily available to the accountant preparing the return. Furthermore, where you and your spouse have joint investment accounts and don’t use the same accountant, it is cumbersome to report split interest, dividend and capital gains income. In these cases, there is often either duplication in reporting income or one spouse misses reporting their ½ of their income entirely. For the reasons I note above, let alone the extra tax preparation costs, I suggest you and your spouse or partner consider using the same accountant to effectively capitalize on the spousal and/or family benefits. The T1135 Foreign Income Verification Statement has to be the most problematic tax form in history. Readers of my blog know that I have written multiple times on this topic and will do so again today, to update you about the changes to the form for 2014. Not only has the form and the reporting requirements changed several times over the last couple of years, the form continues to cause confusion for taxpayers and professional accountants alike. I understand there are still ongoing discussions with the Canada Revenue Agency by representatives of both the accounting and investment industries, as the form is still considered to be too complicated by many. Complicated or not, the form and rules have changed for 2014 and I provide below a quick review of the rules and discuss some of the changes for 2014. The T1135 must be filed by individuals, corporations, trusts and certain other persons who own specified foreign property ("SFP") costing in total more than $100,000 CAD at any time during the year. Note the word costing. That means you use the adjusted cost base, not the fair market value of the investment. Foreign property held in a Canadian mutual fund is not reportable. E.g. : Even if the Canadian fund owns U.S. stocks, the fund is not reportable. U.S. cash held in a Canadian Institution is not reportable. Personal use property (e.g. Florida Condo) that is used exclusively by the taxpayer as a vacation property is not reportable. However, foreign personal use real estate can get complicated. If for example, you rent out the property for eight months of the year with a reasonable expectation of profit and use the property for personal use the other four months it must be reported. However, if the property is rented out for part of the year without a reasonable expectation of profit, (just for the purpose of recovering a portion of condominium expenses) than the property is most likely not reportable. If unsure, I would suggest you file the form to be safe. the T1135 was not filed, was not filed on time, or was filed inaccurately. Thus, missing just one minor investment might be sufficient to extend your assessment period a further 3 years. (2) Use the 2014 aggregate reporting method (i.e. : report by country for each investment account, rather than for each individual stock and bond held in the investment account as per #1 above). So for example. If you have an account with say TD Bank and in that account are 5 stocks, companies A,B,C,D&E, you can either report the details of A,B,C,D&E individually or just report A-E as an aggregate which is far simpler (subject to the country by country reporting discussed below). Again, because you can report using the FMV under Category 7, which can be taken directly off your monthly investment statements, it is typically a far simpler choice than using Category 2 which requires you to use a cost basis which most people have to dig up from old records. For 2014 you must segregate the category 7 amounts by country. You will be pleased to know you are required to work through SFP on a country-by-country basis to determine which month is highest, and then report that balance. For capital gains/losses – you are required to calculate gains on schedule 3 using historical rate. The T1135 capital gains should agree to what you report on schedule 3 of your return. Many had hoped that the various concerns of taxpayers, accountants and financial institutions would have caused the CRA to simplify this form. However, as you can see, the T1135 is just getting more and more complicated. Note: As I discussed last week, I have disabled the comment/question feature of the Blog. I just do not have the time to answer questions during income tax season (this includes emails to my BBC or business email accounts). I know this will not be popular in respect of this post, based on the fact I have had over 225 questions and comments on my prior T1135 blog posts. I apologize in advance and thank you for your understanding. Hopefully the link I provide below will answer any questions you have. Since I am not answering your questions, I will direct you to the Chartered Professional Accountants of Canada blog, that answers many questions. Hit the link to "list" in the second paragraph. There are 143 questions asked about the form, many for which the CRA provides a response.